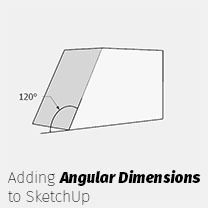 In this tutorial we will look at the top items all beginners with SketchUp need to know when starting out with SketchUp. 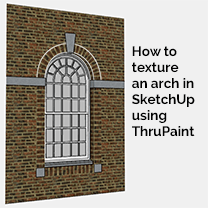 These are tried and tested approaches that proficient SketchUp users have expressed over the years. Getting to grips with SketchUp is easy but super charging your learning is requires commitment. 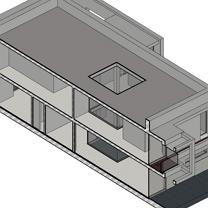 With these 6 top tips you will fast track your way to becoming a SketchUp ninja! SketchUp modelling mastermind Eric Lay shows off a great technique to quickly model a gyroid in SketchUp. Eric also shared the SketchUp file with the steps to modelling included in an easy to follow scene-based file. 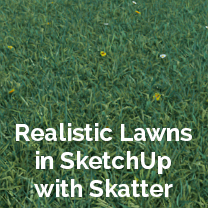 In this tutorial you will be introduced to using Skatter to create realistic lawns in SketchUp. 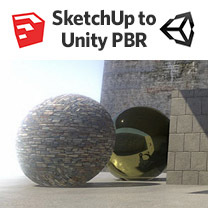 Skatter is a new particle extension for SketchUp that is packed with powerful features that make populating surfaces with objects a simple task. For this tutorial we will use our own North American Grass Pack and some perennial weeds to add some realistic variation and appearance. Time to get skattering! Ever need to calculate how much fill you need to level a site? Luckily TIG has a tool that does just that. CutNfill is a commercial tool that, for only $20, that makes extracting and calculating site fill incredibly easy. 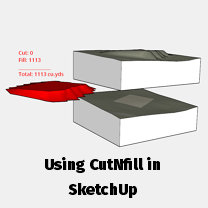 In this tutorial we will take a terrain, add detail, level the build area and extract the info using the CutNfill extension for SketchUp.